Town officials have begun to turn their attention to minimizing the effects from the many essential town services on Richard White Way. 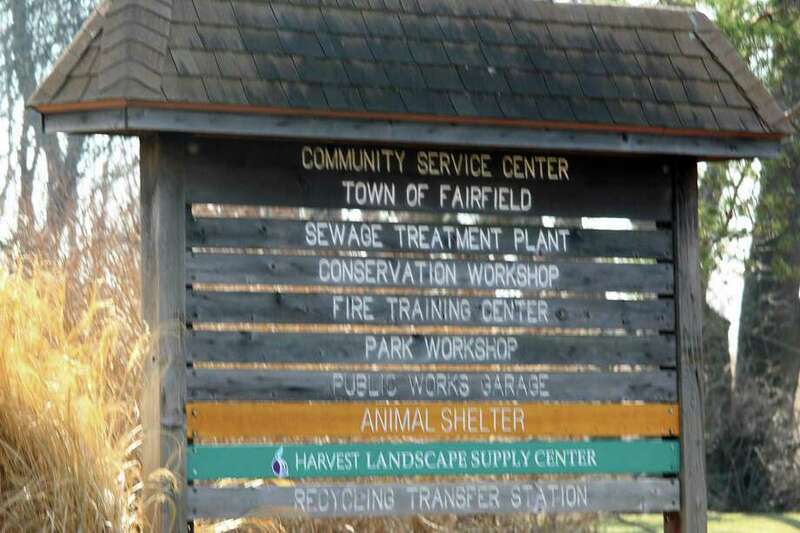 FAIRFIELD — Materials contaminated by PCBs at the town’s fill pile have all been removed, according to a recent report from the Public Works Department. Work continues, however, on shielding residential neighbors from the sights and sounds of the town functions located on Richard White Way, many of them there for decades. Public Works Director Joseph Michelangelo said there are about 100,000 cubic yards of material remaining in the fill pile. “We estimate the construction of the berm will consume 42,000 cubic yards,” the DPW director said. That will leave about 58,000 cubic yards that Michelangelo said will be reduced via several different methods. He said usable material will be taken for town construction projects, and it will be made available to private contractors. According to the DPW report, a coastal site plan application for a landscape berm and landfill capping was approved by the Town Plan and Zoning Commission last month, and construction on a raised bank of dirt is expected to begin this spring. The installation of 40 14-foot-tall white pines to act as screening behind the fire training center will be coordinated with the construction of a flood barrier around the area that includes the training center, the waste water treatment plant, Animal Control and the Conservation garage, and will begin once state Department of Energy and Environmental Protection approval is received. The town will also develop a five-year plan for the entire area, which also includes the Public Works yard and garage, the mulch operations, the transfer station and the school bus yard. The total area encompasses 124 acres. “The goal is to allow the town to conduct necessary operations, while finding ways to reduce and mitigate the associated impact to the neighbors,” the DPW report states. Issues with the fill pile, in place for several decades, arose in 2016, when Pine Creek and Fairfield Beach Road residents complained about the view of the pile, its size, the noise from the site and the associated truck traffic. Julian Enterprises had been paying a $9,000 rental fee to run the fill pile. They brought in additional material to mix with what was there in order to be able to sell the fill to contractors. The ultimate goal of the contract was to reduce the size of the pile, but instead, it got larger. The town sent inspectors to the fill pile, and in late 2016, found some contaminated material. Since the discovery, the contract was voided, and the town filed suit against Julian. Julian has filed a counter suit charging the town with defamation.